Q:What stainless steel liners require insulation? A: Liners for gas and oil-fired appliances do not require insulation to meet the manufacturers’ installation and warranty requirements. Because of the lower flue gas temperatures and lesser heat transfer they are less likely to catch surrounding combustible material on fire. Those that are used with solid fuel-burning appliances do, however. If combustible materials are in contact with the chimney there are provisions that allow the liner to be installed in what is defined as a zero/zero install. 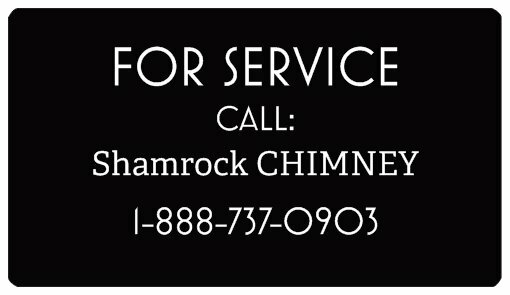 That means there may be zero clearance to the interior of the chimney and zero clearance to the exterior of the chimney . The insulation may be of the blanket type or an expanded mica or masonry insulation. There are some manufacturers that will list a liner for use without insulation if it conforms to the NFPA 211 construction requirements. The problem is that it is almost impossible to determine that without destroying the chimney. It makes much more sense to insulate every liner serving a wood burning appliance. Even gas and oil-fired appliances that are vented into an exterior chimney will benefit from insulating the liner. Q: I'm unsure how to work my damper. Can you should me how? This is a common question. If the damper is not functioning correctly or if it’s closed, you’ve got a situation on your hands that may lead to a smoky room at best and a fire hazard at worst. The damper is a hinged metal plate or valve used to seal the fireplace when not in use. You want the damper to be fully open, and you want it to be in the open position before you light your fire, for obvious safety reasons."